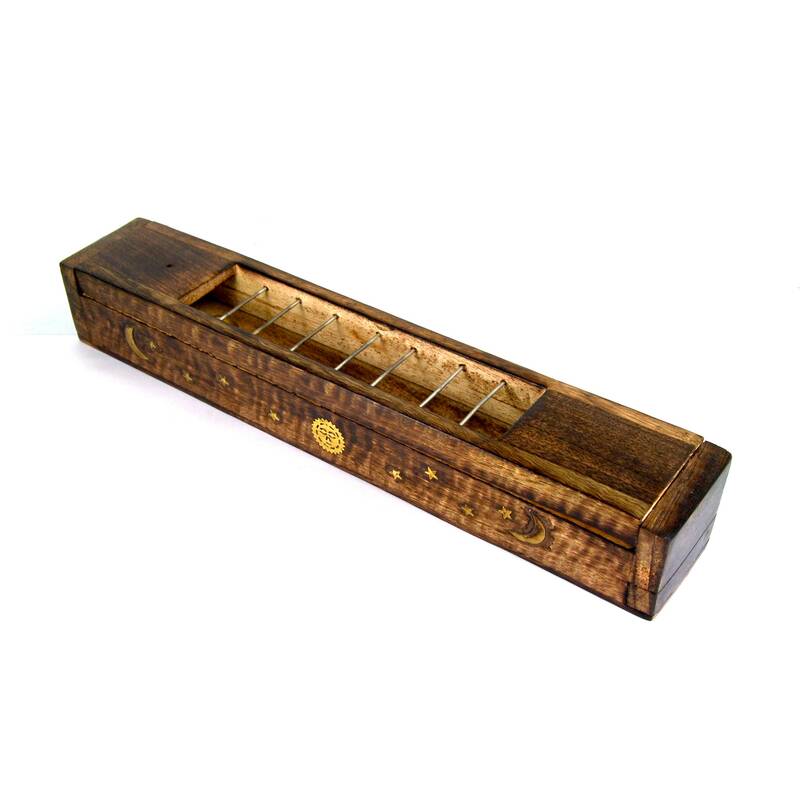 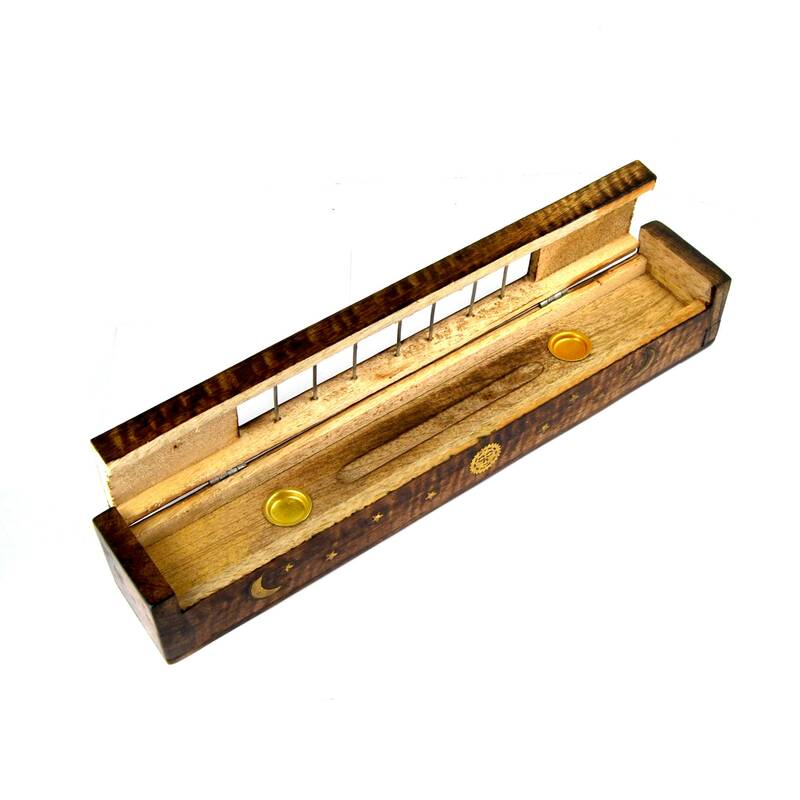 For your consideration is this wooden incense burner to use with FOUR different styles of incense; Tibetan rope and Japanese stick incense are meant to be burned on top of the metal bars, there are 2 round brass holders inside for cone incense, and your typical drilled hole on top for stick incense. 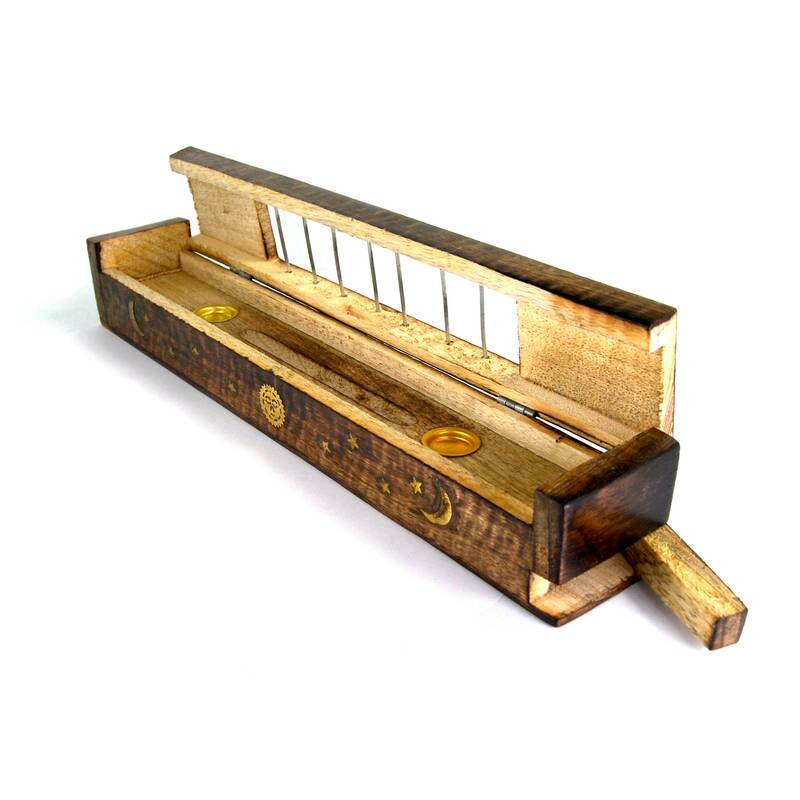 The body is made of wood and is has a celestial design of the sun, moon and star inlaid in brass. 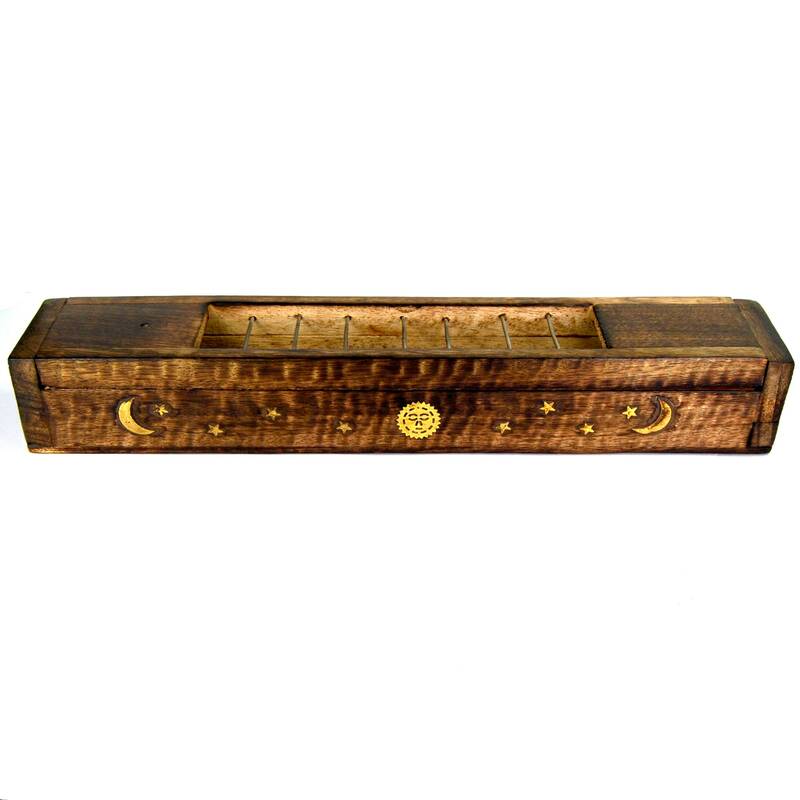 It also has a secret compartment to store incense underneath. 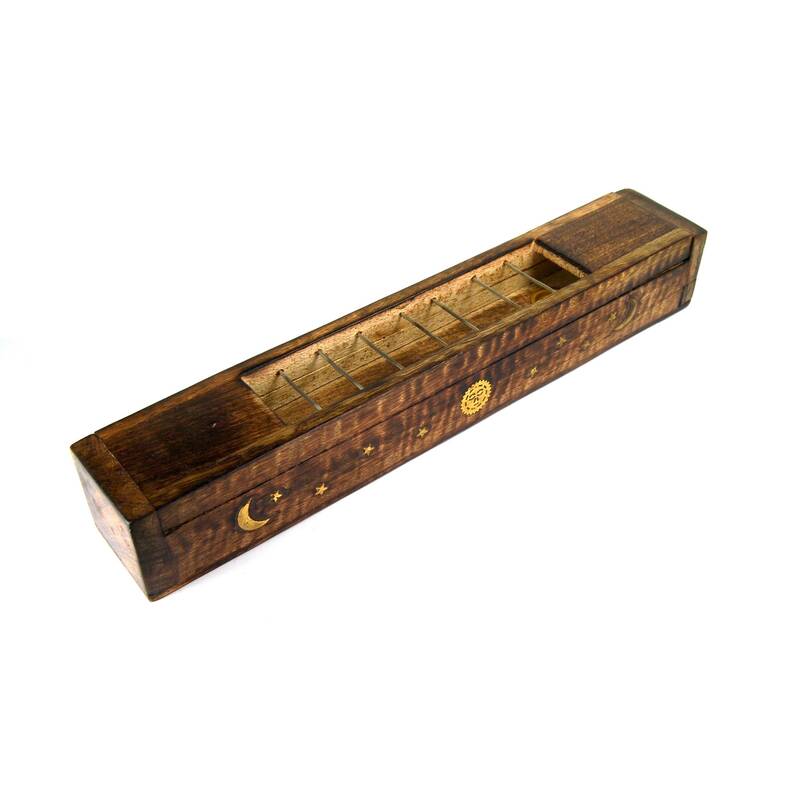 It measures 12 inches long 2 inches tall and 2 inches deep.